Fiat Chrysler will squeeze some extra excitement from the upcoming 2019 Dodge Durango, by providing some modest updates. 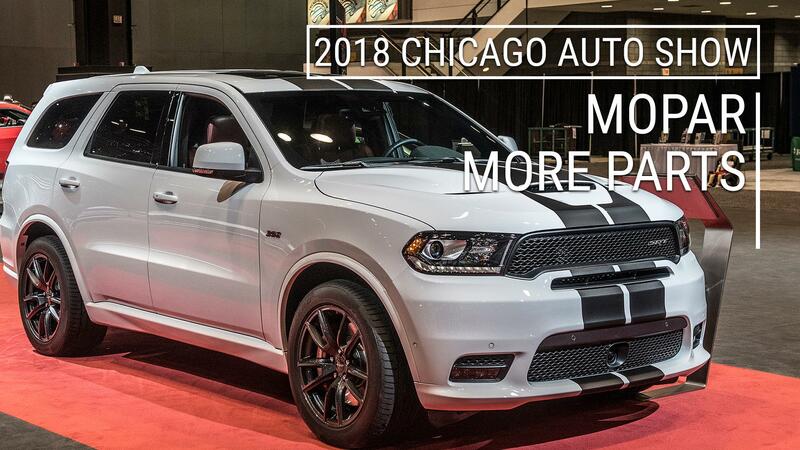 They include giving the three-row SUV new colors and broadening the use of elements of the Durango R/T and SRT performance models, among other upgrades when it goes on sale in the fall. It'll still be offered in five models — SXT, GT, Citadel, R/T and the SRT — with the same 295-horsepower 3.6-liter V6 as the standard engine. For 2019, the GT model will get the SRT and R/T's performance front fascia and LED fog lamps. It also has the option of an SRT-inspired hood with center air inlet duct and two heat extractors. On the Citadel models, second-row captain's chairs will be standard. There's also a new integrated trailer brake on models equipped with the Trailer Tow Package. New 20-inch wheel designs are available on various trims, and an available 825-watt, 19-speaker Harman Kardon sound system for the Citadel, R/T and SRT. Three new exterior color options appear, too: F8 Green, Destroyer Gray and Reactor Blue. SRT buyers can now opt for red seat belts and lightweight Brembo brakes with two-piece rotors. Its Hemi V8 still makes 475 horsepower as it did last year. The R/T model, meanwhile, continues with the 5.7-liter Hemi V8, also available on the Citadel, making 360 horsepower and 390 pound-feet of torque. Sepia leather seats are a new option. Order books are now open, but there's no word yet on price.